Save money and preserve the environment! Energy efficient windows and doors will save you on heating and air conditioning. 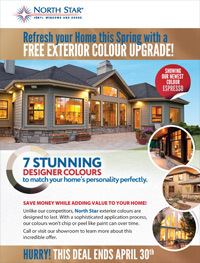 Look for the ENERGY STAR® symbol or ask one of our trusted staff at Bayview Windows & Doors. ENERGY STAR® is an international standard for energy efficient consumer products such as windows and doors. If the product has the ENERGY STAR® approved logo it uses 20% to 30% less energy than required by federal standards. 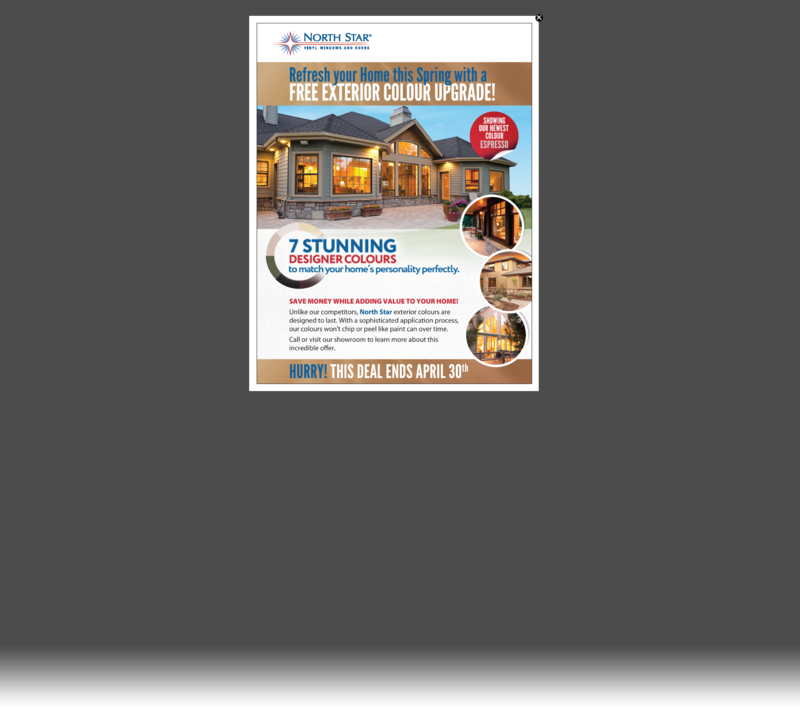 ENERGY STAR® qualified windows and doors are tested and certified. Products qualify based on their U-value, R-Value, Solar Heat Gain Coefficient (SHGC), airtightness and Energy Rating (ER). A U-value indicates the rate of heat transfer. The lower the U-value number, the slower it transfers heat from a warm area to a cold area. An R-Value indicates the resistance to heat transfer. The higher the R-Value number, the more isolative the product is. The Solar Heat Gain Coefficient (SHGC) is the degree of solar radiation transmitted and absorbed into a window. It is expressed as a number between 0 and 1; the lower the SHGC rating, the less solar heat it transmits. All windows and sliding glass doors must be rated for their air tightness to enhance its isolative ability and prevent the transfer of heat. The Energy Rating (ER) value is calculated using a formula based on a product`s U-value, its Solar Heat Gain Coefficient (SHGC) and its airtightness. All products have a rating of between 0 and 50; the higher the ER rating, the better the product`s thermal performance. The ENERGY STAR® rating requirements for windows and doors to be accredited vary according to four distinct climate zones in Canada. Homes in warmer climates have different energy needs than homes in cooler climates. Once we determine the zone you live in we can find out the best options are suited for your region. For more information on ENERGY STAR® performance levels visit the Canadian government’s Office of Energy Efficiency’s website. 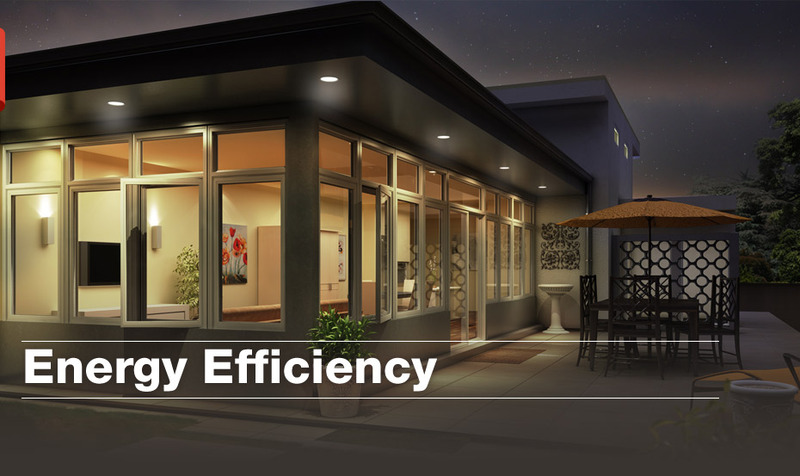 For more information on energy efficiency refer to Sill to Sash: A Complete Guide to Windows and Doors from the Canadian Window and Door Manufacturers Association. 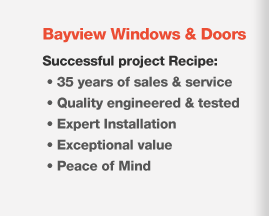 At Bayview Windows & Doors, we will guide you through every step of the installation procedure to ensure that your project is fully compliant with the ENERGY STAR® standards.